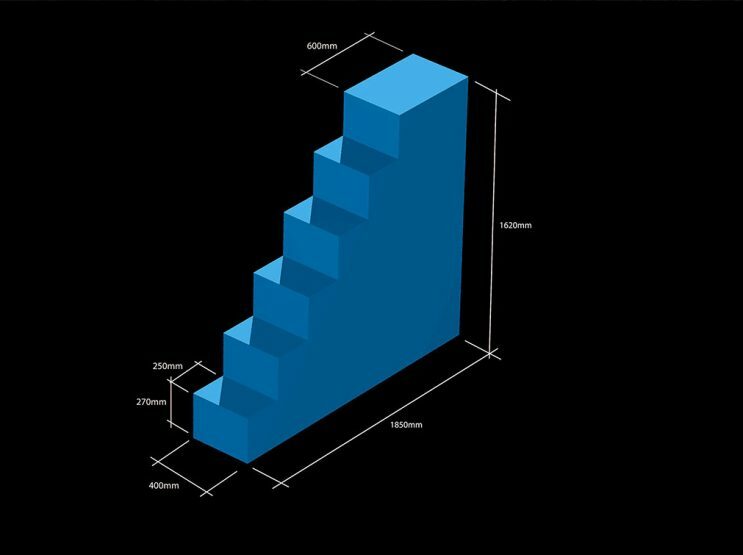 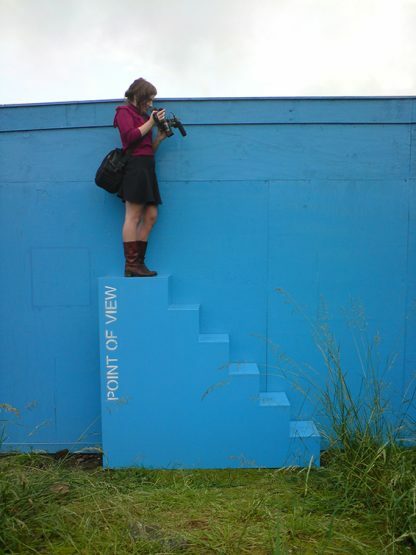 osa in collaboration with Blueprint magazine took direct action and built the first viewing platform for the 2012 Olympic Games. 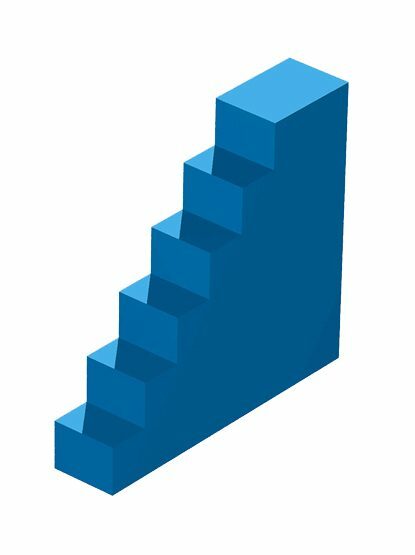 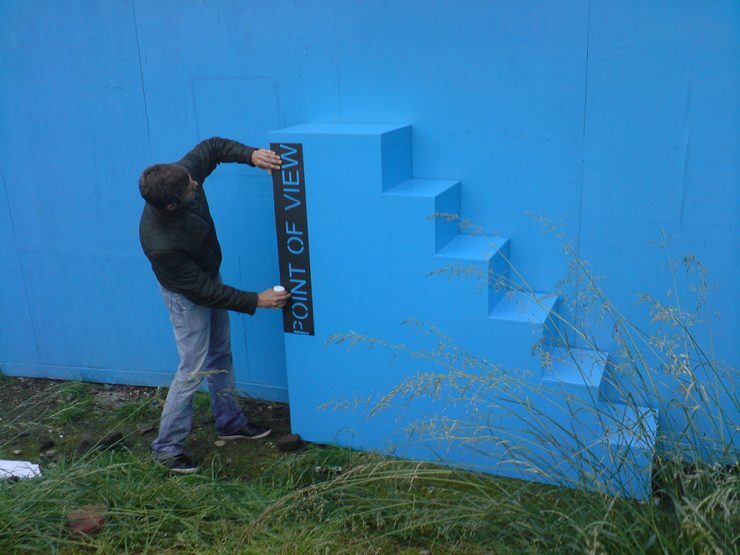 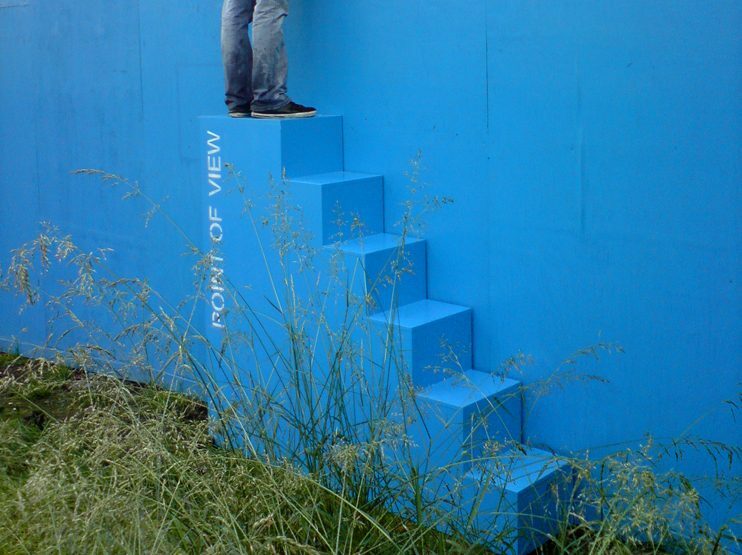 At 6am, on 12 June, without permission, Point of View has been erected, a stair-like structure painted regulation Olympic blue. 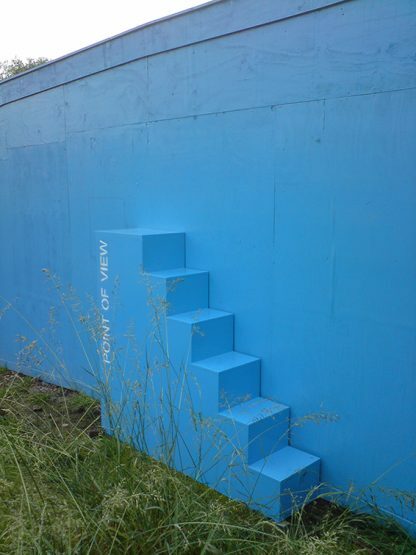 It has been placed alongside the fence that surrounds the park, not as a provocation but as a gesture of friendliness, openness and enthusiasm for the games a spirit seemingly unknown to the many official bodies organising them and developing the east London site. 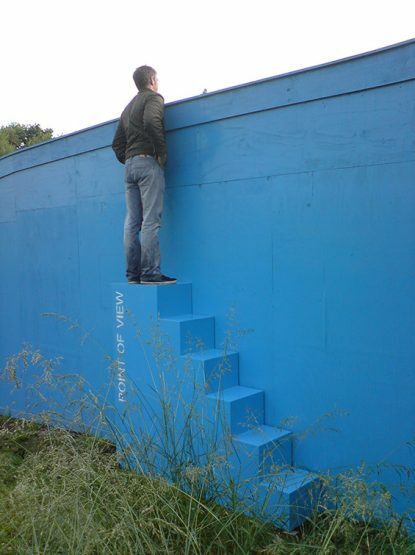 It wasn’t just information about the building programme that was hard to come by. 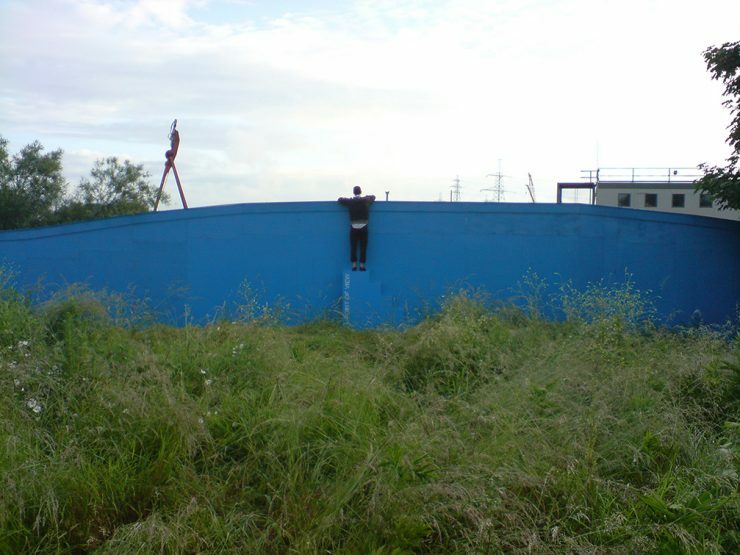 Access to and views of the site were nearly impossible for the curious visitor to obtain. 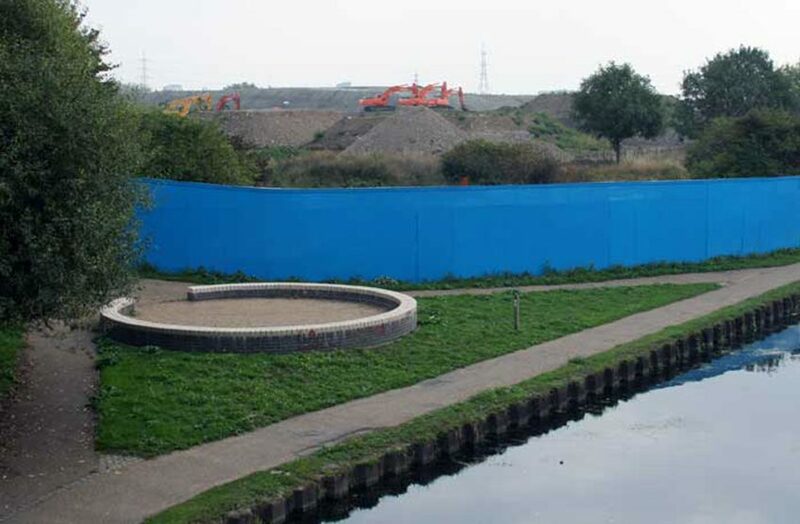 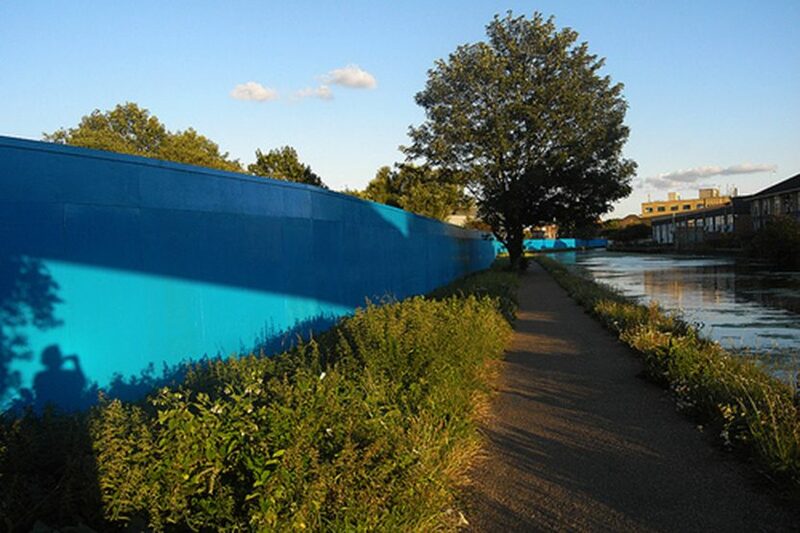 Point of View was installed at the blue fence on the Greenway, close to the point where it crosses the Lea River. 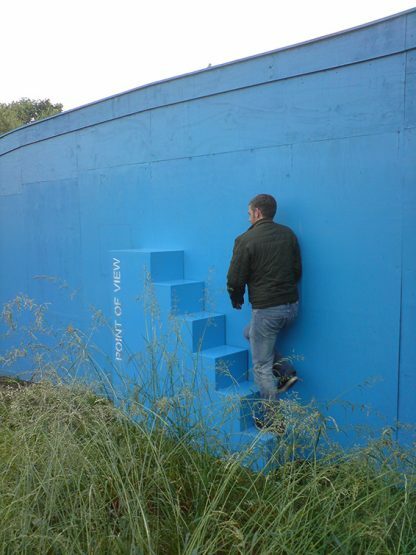 It lasted around 60 hours, during which time it was used by the public, before being removed.